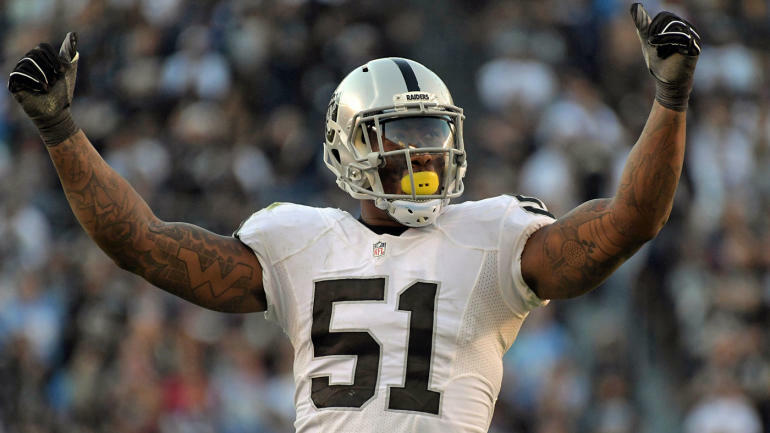 The Falcons will add defensive end Bruce Irvin days after he was released by the Raiders , the team announced Wednesday morning. CBS Sports NFL Insider Jason La Canfora identified the Falcons -- along with the Patriots and Seahawks -- as a likely landing spot. In fact, Irvin told ESPN.com 's Vaughn McClure that the Patriots and Steelers offered more money but he wanted to return to his hometown. The Falcons have won three straight games though their defense, ravaged by injuries, remains a liability; the unit ranks 30th, according to Football Outsiders , ahead of only the Raiders and Buccaneers . The Raiders, meanwhile, parted ways with Irvin because he didn't fit their defensive scheme and was their highest paid player on that side of the ball. This development comes after Gruden spent the first few weeks of the season lamenting the lack of a pass rush after shipping Khalil Mack off to Chicago.